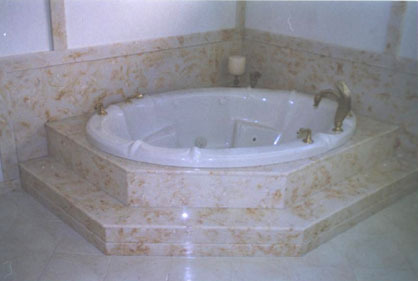 A self rimmed 'Flour-de-le' Tub with the controls on the Tub. 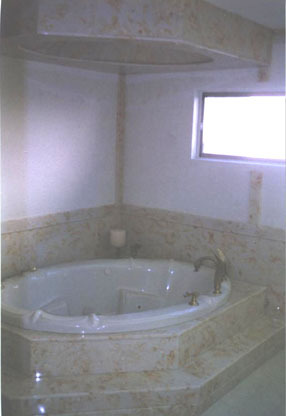 An oval dome Ceiling for a chandelier above the Tub. 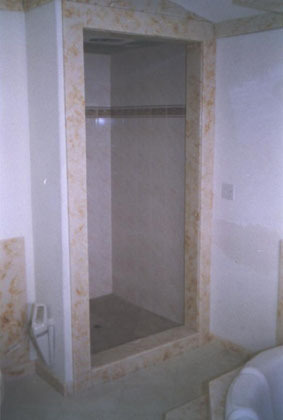 A Tile Shower with Cultured Marble Bordering. 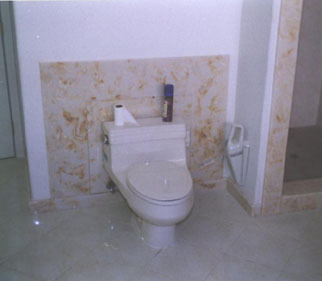 A Toilet Backsplash in Cultured Marble.